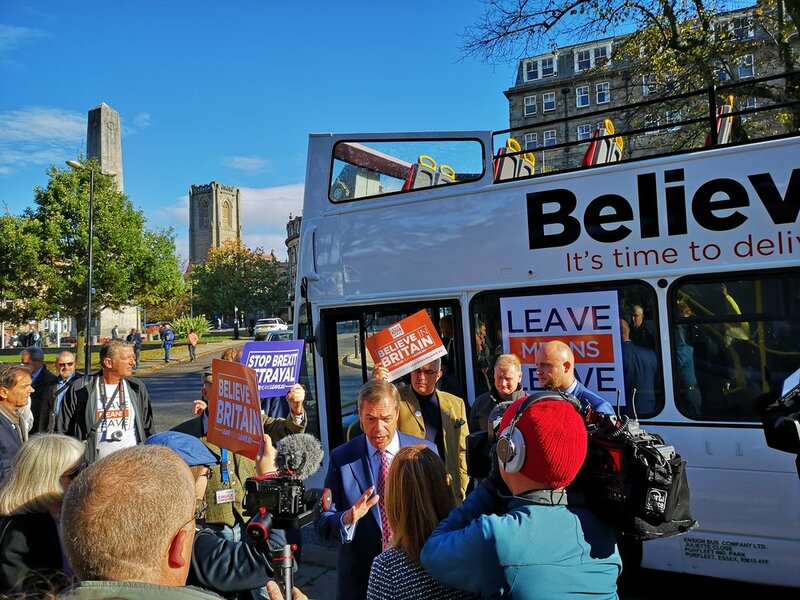 Nigel Farage visited Harrogate yesterday with a small entourage of supporters campaigning with a new bus. The Believe in Britain open top bus parked close to Betty's Tea Rooms. Farage emerged and answered questions from local journalists. He expressed his willingness for the British government to hurry up with the Brexit procedure and get a deal. 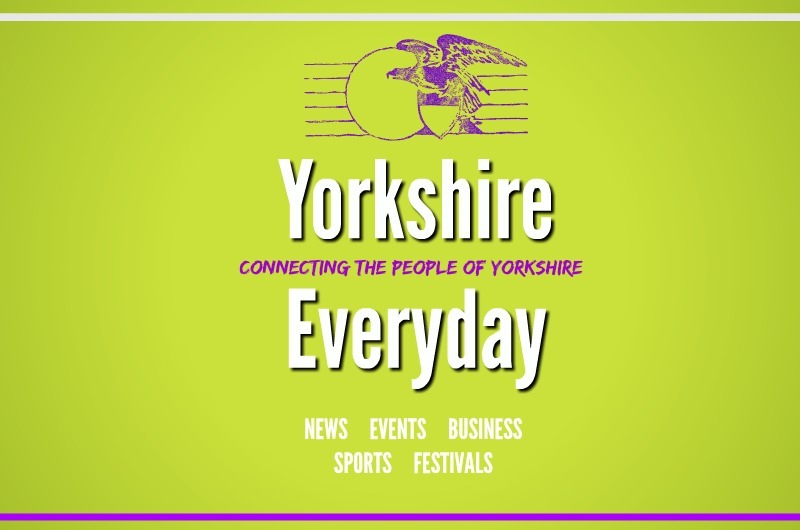 After a walk through Harrogate he later hosted a talk at the Harrogate Conference centre and attended a local pub. Where one punter told of how he hoped Britain would go back to the days of the British Empire. No this is not (satire). Farage was also greeted by protestor's one local journalist told us his personal views on Nigel and what he stands for " He is just a Nazi in disguise, his charming and cosy character often covers up a deep sinister undetone. " "He is a man who has no power, no MPs, he is just an ideas man and ideas creator. And his ideas have left us in this terrible state. " 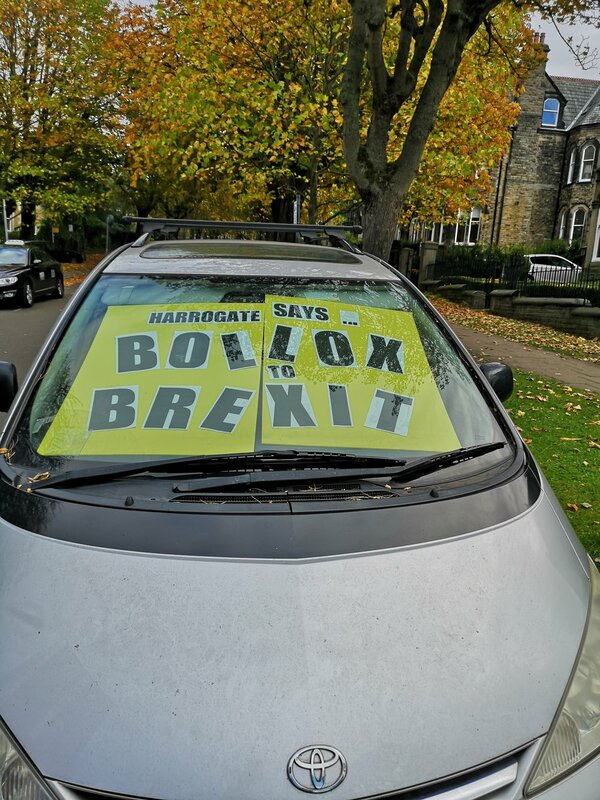 However two local supporters of Nigel's ideology expressed how Harrogate a leave voting constituency was thrilled to see him and that he was standing up for the 52% who voted out. One supporter said, "We need to build Britain up and not talk it down." Another said, " We know why we all voted out, immigration! " 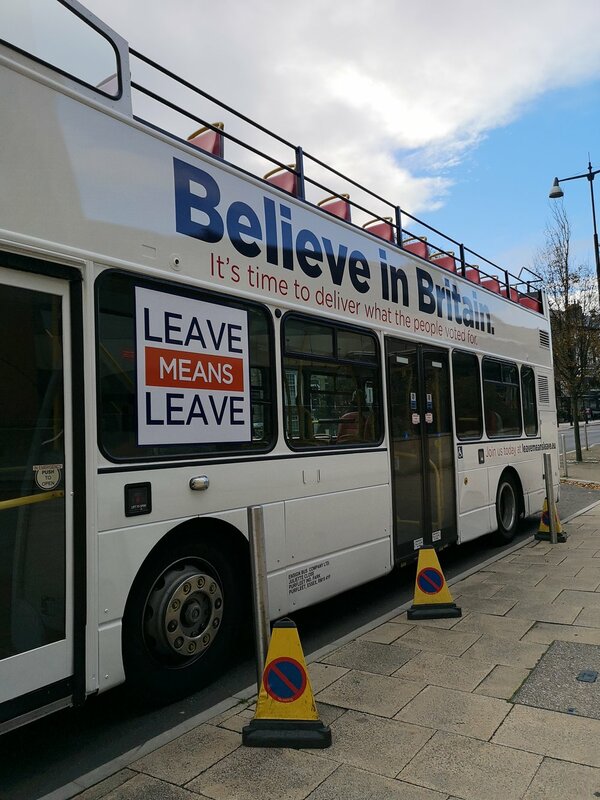 "So bored of Farage, gone to London"
The believe in Britain bus... gone are the promises of 350million of extra funding per week for the NHS. Jun 28 Now Brexiteers have control what next? ?